Cloudy golden amber color. Odd aromas and flavors of singed spices and alpine herbs, grilled root vegetables and citrus, and menthol mint with a supple, bright, dryish medium body and a smooth, amusing, medium-length finish with impressions of spicy bread pudding, ginger and lemongrass, and spinach paneer finish. An interesting New England pale ale with lots of exotic spices. 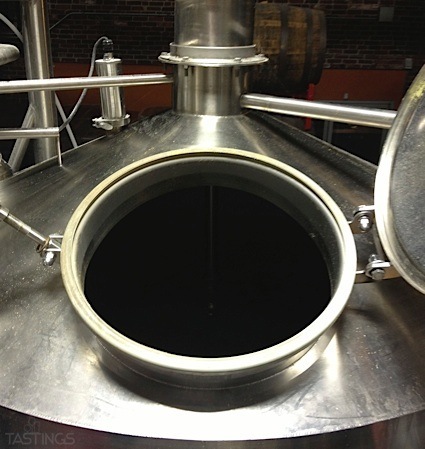 Bottom Line: An interesting New England pale ale with lots of exotic spices. Bravo! 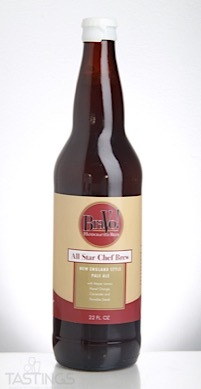 All Star Chef Brew New England Style Pale Ale rating was calculated by tastings.com to be 89 points out of 100 on 3/30/2018. Please note that MSRP may have changed since the date of our review.